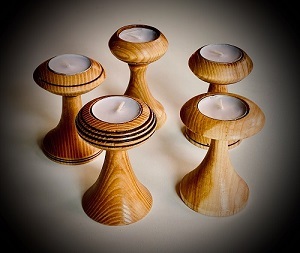 Lovely hand-turned wooden chalice with tea light candle made by wood-turner, Edwin Youtz. Perfect for individual use or for use in small groups. 4 " tall.